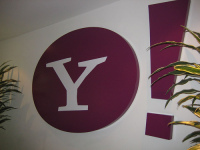 Yahoo continues with its roster of product offerings, the latest being BrowserPlus, a Web Browser plug-in that provides functionality to cache content offline and a lot more. The initial descriptions from the FAQ seem to point to a browser tool that could do much more than Google Gears, the offline/online caching tool provided by Google. With great results posted for Q1 2008, Yahoo has more reasons to pursue its goal of competing with Google. The bid from Microsoft aside, Yahoo is the only firm capable of delivering products that can compete with Google’s in scalability across the Web. BrowserPlus has been in development for about 3 years, a long time considering the pace at which Google comes out with its products. Their latest move appears to be a release (or possible resurrection) of a long-rumored framework somewhat similar to Google Gears. Right on the heels of their official external launch of Fire Eagle comes Yahoo BrowserPlus, At the present time, BrowserPlus will only be used on Yahoo’s own sites, but they suggest that they’ll be “sharing with the world” at a later date. Yahoo’s and Google’s tools are browser extensions to what Microsoft Silverlight and Adobe’s AIR are also trying to achieve, that is provide a synchronity between offline and online browsing experience. With more and more content moving online, it is obvious that connectivity, or atleast caching of online sessions, will become a necessity. Zoho and RememberTheMilk are some popular sites that use Google Gears to provide your data when the internet connection goes off. Its not clear whether the spurt of product announcements from Yahoo is aimed at warding off Microsoft or get a sweeter deal from them. For now Microsoft has refused to better the deal. The three week deadline that it had placed before the Yahoo board to start talks ends this week. The positive results for Yahoo combined with its latest offerings means Microsoft should be looking all the more eager to acquire it before the results convince the shareholders that Yahoo could stay profitable independently.